As for ST-5S model, Smart Tweezers™ greatly simplifies testing and troubleshooting process. Resistance, capacitance and inductance can be measured with automatic selection of the test parameters and range. See comparison between ST-5S-BT2 vs ST-5S vs ST-5C. 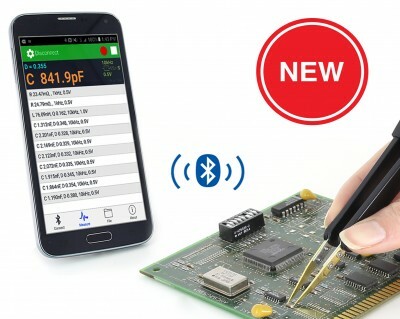 Smart Tweezers Bluetooth Companion iOS and Android apps enable ST-5S-BT2 connection to mobile devices and tablets direct without additional receivers. For more detailed product information please read the ST-5S-BT2 leaflet.